Here is an Australian expression for you. I never heard it in the US so I recommend you not using it there if you want to be understood but since it is an interesting little story I’ll tell you anyway. Buckley’s chance is the Aussie equivalent of a “snowballs chance in hell”: zero, none, zilch, pretty much impossible. The phrase originated back in the days when Australia was England’s favorite place to send their convicts to. 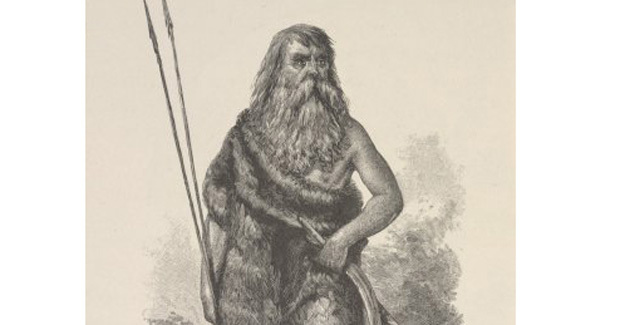 One of those convicts, William Buckley, managed to do the impossible: he escaped once in Australia (Melbourne area), walked for days, ended up with the Aborigines and lived with them for many years (35 is the number I heard but haven’t independently verified). In those days living with the Aborigines for such a long time, I guess, seemed just as imposible as escaping the watchful eyes of the British. Legend has it that after his many years with the Aborigines Buckley eventually returned back to so-called civilization, gave himself up to the authorities, and was pardoned. I was introduced to this Aussie saying by Paul Anderson, of Escape Discovery Adventures during a wonderful one-day Great Ocean Road excursion. Jaywalking is the term for all you petty criminals who cross the street against the light, walk across the street between intersections, run across th2 street without yielding to cars and otherwise engage in illegal crossing of streets. The term jaywalking is a compound noun consisting of the words jay and walking. In the olden days in the American Midwest jay was a derogatory term for people from rural areas. Then, like it might still be the case, people fro the countryside were considered to, well, at least naive and inexperienced when it comes to the ways of the city, especially traffic. And so the poor jays walked all over the streets with no regard to traffic. The dissemination of the term after its (alleged) first use in 1909 is believe to have been helped by the car industry which wanted to redefine the streets as places were cars drive, not people wander around.